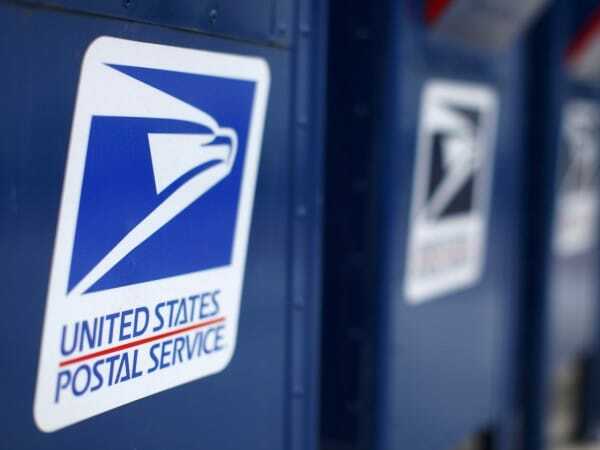 The United States Postal Service, USPS for short, also known as the U.S. Mail, represents the federal government’s independent agency responsible for providing the nation’s postal service. In fact, it is one of the very few independent government agencies to have been explicitly authorized by the U.S. Constitution. Headquartered in Washington DC, the USPS was founded on July 1st 1971 and currently has over 617,200 employees. In spite of the increasingly digital world we live in, the USPS has remained one of the foundation stones of the American economy. Its core function is that of providing US citizens with affordable, secure and reliable mail and package delivery options regardless of shipping address, throughout the US as well as its worldwide military installations. Over the past decade, the USPS has had a total mail volume exceeding 155 billion and a total package volume of 3 billion. In order to improve its package tracking, USPS has enforced several services, such as End-to-End tracking and Text alerts to ensure that your package arrive safe and sound at the desired destination. We’d like to take a better look at how USPS’s package tracking options can help you better follow the shipment process. The USPS has been constantly seeking to improve its services so that tracking your package can be both convenient and easy, regardless of domestic or international shipment. With over 11 scan events on shipments and its End-to-End tracking system, the USPS allows its customers to follow the packages they send every step of the way. First of all, you need to decide whether you wish to send a trackable form of shipment. Because not every letter and package is automatically tracked, make sure to request a trackable form of package if you wish to use this service. While Priority Mail does include tracking, shipping forms such as domestic first class or media mail shipments do not. For a charge, you may choose to add tracking to your package. Sample tracking numbers are provided on the USPS tracking page, so that you may easily identify the number required. Spaces are optional. The “My USPS” service allows users to register for an account and automatically view information pertaining to all of their inbound packages. When logged in, no tracking numbers are required. You may also schedule alerts, hold mail as well as request redeliveries. 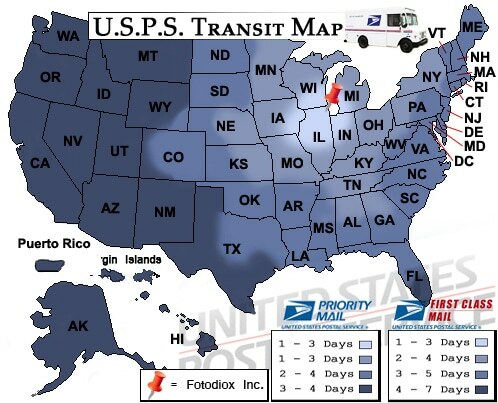 USPS package tracking services also allow you to have your mail redelivered if you’ve missed the initial delivery. Same day redeliveries are also possible, if the request is filed before 2 AM Monday through Saturday. USPS Package Intercept is another feature which allows for domestic shipments that haven’t yet been delivered to be released for delivery. Customers must first verify whether their particular shipment form is eligible for the service. If yes, logging into the USPS account and submitting a request will be enough to get you started. USPS will attempt to intercept your package (though this service is not guaranteed) and if successful, it will charge your credit card with the interception fee as well as the estimated postage. The USPS has certain preset delivery times depending on the moment when you placed your order as well as the form of shipment you have chosen. Priority mail domestic deliveries are completed within 1, 2 or 3 business days, depending on factors such as package origin and destination. You also have the option of overnight delivery with Priority Mail Express, the fastest domestic service provided by the USPS. This is a guaranteed service for most locations. Standard domestic post as well as Media Mail require 2 to 8 business days to arrive. International shipments, on the other hand, may take a bit more. You may opt for having your correspondence sent fast regardless of destination (1 to 3 business days) with the Global Express Guaranteed service. Other options include Priority Mail Express International (3 to 5 business days) or Priority Mail International (6 to 10 business days). You can always check the estimated shipping time by using this USPS tool. What can you do if the USPS Package doesn’t arrive on time? Depending on staffing, traffic and mail volume daily fluctuations, your package may take longer to arrive. However, according to the USPS official website, deliveries should be made by 5 PM local time. If your mail is late or if your package has not arrived within 5 days from the expected delivery date, you can use the tracking number to check the status of the package. You can also contact the USPS customer service at 1-800-ASK-USPS (1-800-275-8777) where a company representative will guide you further. Under the Sale of Goods Act, packages should be delivered within a reasonable time frame, so you are able to ask for a refund in the case that your delivery fails to be delivered within that timeframe. This concludes our USPS Package Tracking guide. We hope that this information will help you make the educated decision in regards to the carrier’s services and will make it easier for you to choose the perfect tracking option available. If you have any more questions feel free to contact us! Hey Buddy!, I found this information for you: "USPS Package Tracking Tips & Tricks". Here is the website link: https://all2door.com/usps-package-tracking/. Thank you.